Paintribution of Scyrah – House Ellowyr Swordsmen? Swordspeople? Swordselves? I was really happy how the colour scheme on my Ellowyr Swordmen turned out so I decided to do a painting tutorial on it. This week I answer a couple of submitted questions on top of talking about my match vs Todd. Battle Report Podcast 088: eVyros (Not-Darrell) vs Amon Ad-Raza (Not-Todd) – How much jack would a warjack jack if a warjack could jack jack? Throw Momma from the Terrain 03- "Insert Desert Pun Here"
Nothing warms the heart like a barren wasteland. Although sometimes the beauty of a desolate landscape needs the occasional special touch. 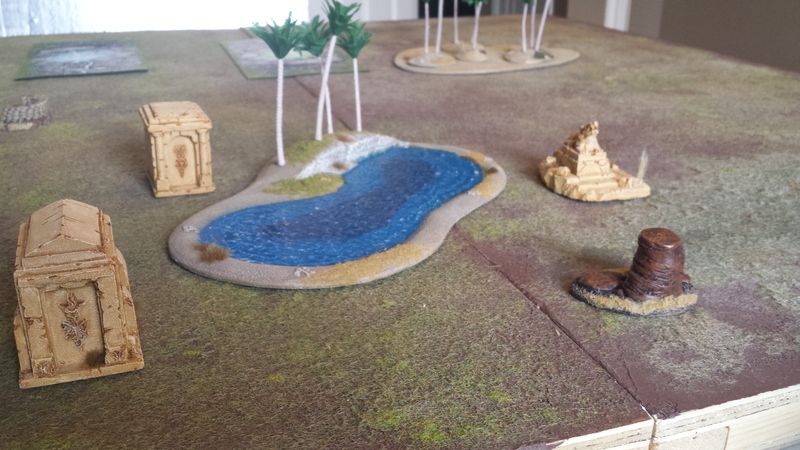 If you agree, then lets spice up your desert gaming board with some appropriate terrain. From the visionary who brought you “Throw Momma from the Terrain : 01-02” comes an epic post on Sandstone, dry brushing, and…..that’s actually it. Just those two things. Wait, I do some washing and basing as well. Or do I? I guess you’ll have to read and find out. Wow, you’re actually back to read another one of these tasty little terrain write ups. Or maybe you didn’t catch the other one? A beautiful expose on how to make autumn terrain come to life. You should check it out because I’m telling ya, there’s lots of over arching plot points and continuity with these terrain posts. You may get lost in the story if you start on post #2 sheesh! Why am I even here? Oh ya, snow terrain! Attempting to get close to my goal of owning various terrain of all different landscapes I decided to finally start a few winter pieces. There’s a TON of ways to do snow and I’m sure they all look like snow. For the pieces I worked on I went with a technique that I feel gives a thicker, sometimes wetter looking snow effect. 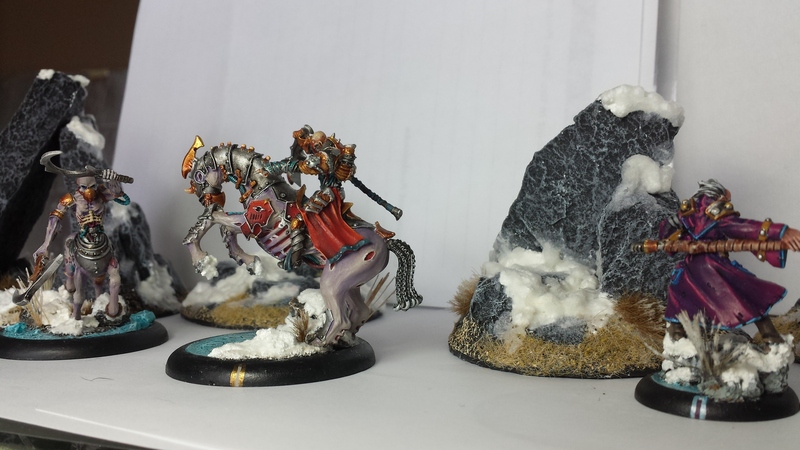 Not all my winter terrain will share that look but for these rocks I really thought it fit. Super Bronzeback! To greenstuff and beyond! pt2! So here’s an update to Monsieur super bronzeback and the Easter egg I was referencing to in the latest podcast! Marc came up with the funny idea to have an agonIzer carry the bronzeback instead of using a clear drowel. Needless to say I loved the idea. Aww yeah. It feels good to be writing battle reports again… between life and work, I’ve had precious little time remaining for the important things: talking about glorious victories and ignoble defeats! This set of 4 battle reports are from late January (yeah, I’m a little behind!) and will cover my results at the 2nd Store Wars tournament which happened at Black Knight Games in Hamilton. We’ve already done the podcast for this (WEEKS ago), but if you’d like a more detailed blow-by-blow… read on!